For hundreds of years, the world’s rail industry has efficiently transported goods and people from point to point. Safety is a top priority for the companies that manage these rail lines, which means ensuring tracks and bridges are well maintained—a task unmanned aircraft systems (UAS) are well suited to support. Rail companies like BNSF and Union Pacific are among those researching what unmanned aircraft can do for their industry. From inspecting bridges and monitoring rail yards to providing a bird’s eye view during disaster situations many see UAS technology as a potentially important tool for reducing risks and improving the bottom line system wide. Today, companies like BNSF use a variety of technologies and methods to inspect the rails, Trevino said. For example, inspectors use penetrating radar to look at the integrity of the ballast, which is the infrastructure that supports the railroad ties and allows for proper water drainage away from the rails. When it’s time to check for damage in the thousands of bridges BNSF trains run across, track inspectors typically hang over the edge of cherry pickers to get the view they need—which is not only dangerous, it can only happen when that portion of the track is shut down. Jarlath O’Neil-Dunne, director of the University of Vermont’s Spatial Analysis Lab, has worked with the state transportation agency and the engineers the agency hires to provide UAS services to the rail industry. There are a lot of difficult areas to inspect in these often 100-year-old bridges, he said, and that’s where UAS can be so beneficial. He’s used the albris from senseFly for these types of assessments. The quadcopter features a camera on its head, which can easily tilt up to take photos under a bridge and then tilt down to take images over a bridge. 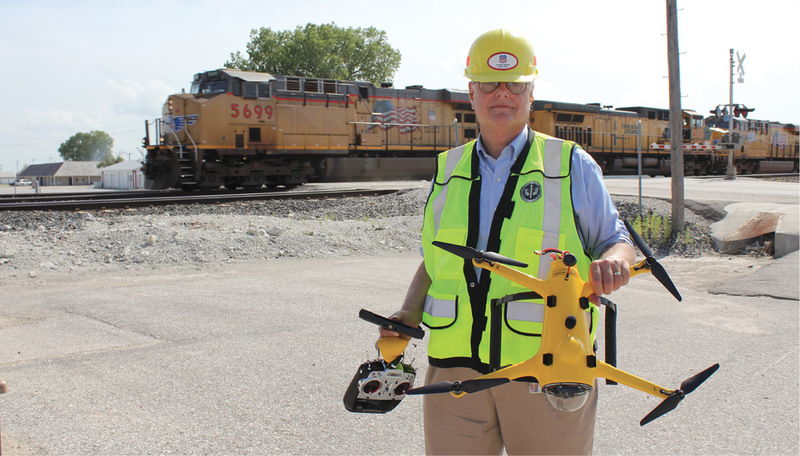 Before UAS, these inspections were typically kept as paper surveys, but now rail companies have access to 3-D models and the ability to add 3-D analysis, O’Neil-Dunne said. This makes it possible for inspectors to see changes in any given location, whether they’ve noticed a new crack or a loose bolt. They can easily determine if defects are getting worse, enabling them to decide in real time if action needs to be taken—which is something they’ve never had before. Progress Rail also offers UAS services to the rail industry, deploying the md4-1000 from microdrones for long endurance flights, the ALTA 6 drone from Freefly for more targeted work and the Elios from Flyability, which is incased in a sphere, to get into tight areas from 10 to 15 feet away without exposing the drone’s rotors and sensors, said Russell Metzler, the firm’s manager of UAS technology. They also deploy the less expensive DJI Phantom when flying over water or other high-risk areas. Right now, the rail companies Metzler works with are mostly interested in collecting the same imagery they’re accustomed to getting from their inspectors, as well as having access to full motion videos and 3-D models, Metzler said. After collecting the data, Metzler can tell customers they found something on the north side, for example, and then give them a 3-D model highlighting exactly where on the bridge the anomaly was found. They can easily pull up the image to see exactly where they need to send the maintenance team. Clients are also excited about the possibility of using thermal imagery to check for degrading timber and to detect water that’s seeped into the concrete, causing the re-enforcing rebar to rust. Deploying UAS technology will not only provide the rail industry with information in real time for faster decision making, it will also enable them to perform these inspections more often, said Aaron Lessig, CEO of Pulse Aerospace, a company that flies these types of missions with the Vapor 55 helicopter drone. Safety is exactly why Union Pacific has turned to drones, with the company researching the technology for the last year and half or so, said Ed Adelman, general director for safety analysis. They haven’t used it on a production basis yet, but the team certainly sees the benefits drones can provide. Some of the UAS they’ve invested in are quadcopters that can be used for general applications such as aerial photography and video capture, while others feature sonar that makes it possible to navigate into tight spaces, such as underneath a bridge. To make it work, they need a stable platform that can get inside large steel structures or inside a culvert and still navigate on its own. While inspection is one of the most common uses for drones in the rail industry, there are other potentially beneficial applications. Right of way mapping with UAS like the senseFly eBee makes it possible to check for vegetation encroachment by using near infrared imaging, O’Neil-Dunne said, while thermal images taken as a train goes over a bridge could potentially indicate stressed areas that need attention. Drones also can be used for rail yard surveillance. 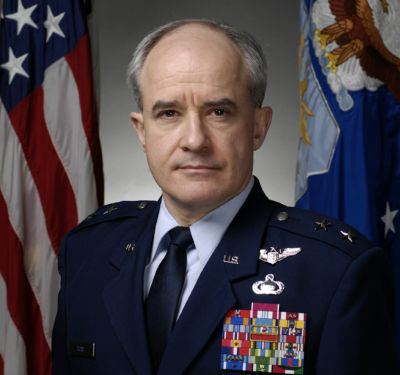 O’Neil-Dunne has deployed UAS for disaster response as well, he said. Many of railroad tracks in Vermont are located near riverways, so when the weather started warming and creating ice jams this February, there were concerns about how close the water was getting to the tracks. Using the eBee, O’Neil-Dunne and his team inspected the area and built 3-D models that clearly showed the track wasn’t at risk. This gave emergency planners reassurance, while also documenting the high water conditions associated with a particular event that they can refer to in the future. 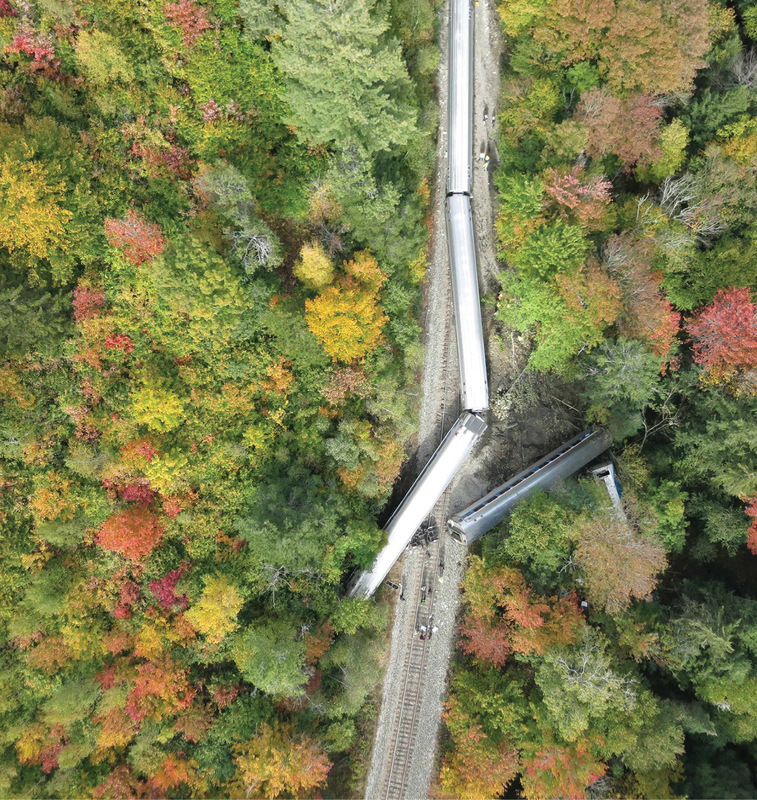 O’Neil-Dunne and his team imaged a derailment in Vermont that happened after rocks fell onto the tracks, he said. They produced a 3-D model complete with coordinates, making it possible to tie that model into other already existing data to map the 3-D elevation of the area, which was invaluable information to have during the response. microdrones also works with rail customers and CEO Sven Juerss said they’ve deployed drones to visually inspect the powerlines above electric trains to ensure there aren’t any problems with vegetation growing into them. Typically this is done with a train that takes the necessary measurements via a LiDARscanner, which is not only expensive, it’s a huge operation that blocks the railway. For a project in Germany, the team flew the md4-1000 during the cold winter months to ensure critical areas stayed heated while the train idled. This is typically done with a thermal camera on the ground. While the team at BNSF usually relies on images and video for inspections, they do have infrared capabilities for emergency situations, Trevino said. If there’s a derailment, for example, they can fly over an area and identify cars that might have a change in heat pattern, guiding first responders to the cars that need to be cooled. They also fly UAS over their railyards to determine if there are any containers open, to locate open parking spots for maintenance purposes and to ensure covers are placed on the locomotive’s smoke stacks—a task that takes hours for a manual inspector to complete. Railways must operate in all weather conditions, from heavy rain or dense fog to cold and snow. Trains travel through valleys and mountains and near oceans, so if a company like Union Pacific is going to deploy a UAS for inspections or during a disaster situation, the UAS needs a long battery life and the ability to operate in harsh conditions, Adelman said. 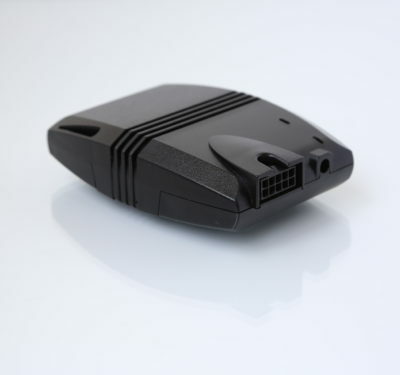 And of course, some of the biggest benefits to the rail industry will come from the ability to fly beyond the visual line of sight of the operator. While Union Pacific, though interested, is sticking to in-sight operations for now, BNSF is doing research in this area. 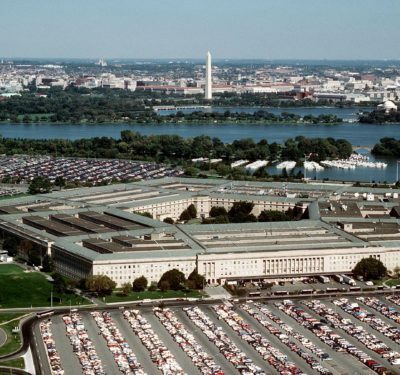 Last year, they worked with Insitu to complete the first commercial beyond-visual-line-of-sight (BLOS) UAS operation in the contiguous 48 states. During that demonstration, the ScanEagle was launched in a tower site near Vaughn, New Mexico, and in the first day covered 64 miles of the 132-stretch of track BNSF designated for the exercise. Through these flights, the ScanEagle provided BNSF Railway with full motion video and still imagery—information that can be used to create 3-D mosaics and other products to detect anomalies or problems with the track, said Charlton Evans, commercial and civil UAS program manager for Insitu. While they could only use limited systems on board because of the classification of the aircraft, Insitu was able to provide BNSF with vital information about the track’s condition. The flights were part of the FAA’s Pathfinder program, and the ScanEagle is one of many UAS BNSF has tested for use in BLOS applications, Trevino said. The ability to fly beyond visual line of sight opens up a host of opportunities including making it possible for railways to inspect lines without a truck following behind the aircraft, which is what they do today. No matter how the data is collected, it’s critical to find a way to seamlessly feed that into the industry’s existing networks including their geographic information systems, or GIS, Metzler said. It’s also essential to create analysis tools that turn raw findings into information the industry can use to make solid decisions on where to allocate their resources. Rail companies need to gather a great deal of information to properly maintain their tracks, Evans said, and while drones certainly can help, they won’t replace all the tools they use today. And as rail companies begin to see firsthand the benefits drones can bring to line of sight inspections, more will start accepting drones as a viable tool, Metzler said, making them open to a host of other solutions—including solutions no one has even thought up yet. The industry is still learning about UAS and what the technology can do, Trevino said, and BNSF is focused on determining, in cooperation with the FAA, how to safely incorporate UAS as another tool. 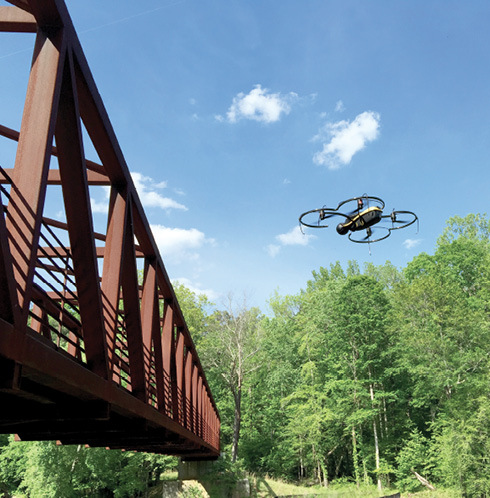 The fact railroads want to deploy UAS into a well-defined space should help make this a little easier, and lends itself to creating flight patterns that can be clearly identified and communicated to other aircraft in the area. BNSF is optimistic about the possibilities UAS offer, Trevino said, giving them another way to monitor changes as well as the information they need to make repairs before small issues turn into big problems.